The 18th century building was an example of a wooden Orthodox church. Between 50 and 100 thousand people claim to be Satanists in Russia. Under the Soviet Union Satanism was repressed, a symbol of dissidence and criticism of the "collaborative" Church of Bolshevism. Now in Moscow there is an officially registered Satanic Church. Their leader calls himself "Oleg Sataninov". 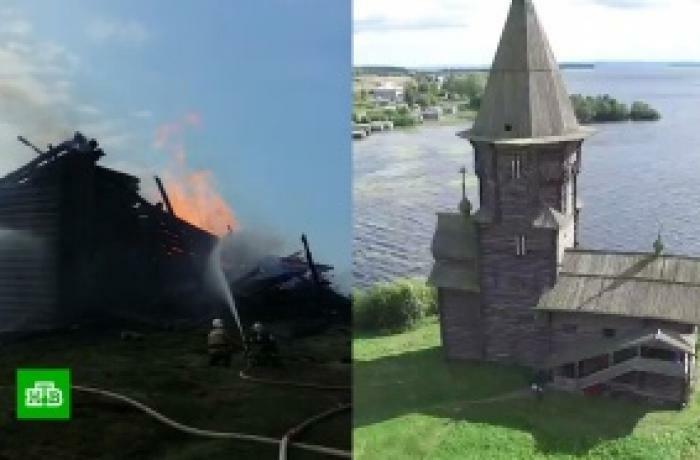 Moscow (AsiaNews) - On August 10, the Assumption Church was burned in Kondopoga in Karelia, in the northern Scandinavian region of Russia. The eighteenth-century building seems to have been set on fire by a 15-year-old boy, probably suffering from mental illness, who wanted to "become famous all over the world", according to the police officers who interrogated him. The young man was in contact with a satanic sect. 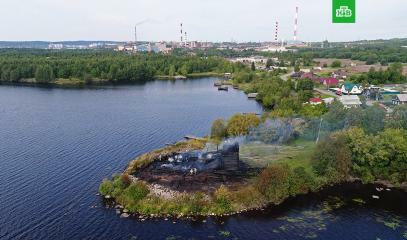 The church was a monument protected by the state, and has been completley destroyed by the fire, so that experts believe there are no hopes of restoring it. 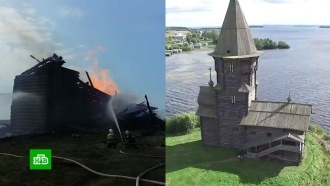 It was an Orthodox church located on a promontory of the great Lake Onega, and built in 1774 with typically Nordic features, with a special tent shape and a height of 42 meters. It was called the "swan song" of the Russian art of wooden churches, of which only a few specimens are scattered throughout the country, a dozen in the archaeological park of the city of Suzdal. Satanic sects spread immediately after the end of communism in Russia, although some believe that they had been active since the 1980s in the most extreme environments of youth dissidence. More than the influence of rock culture, forbidden in Soviet times and harshly condemned by the Orthodox Church, Russian Satanism reveals elements of protest against the national Church. In addition to the natural anti-Christian inspiration, the Satanists rebuke the Church for having collaborated with the "satanic" regime of the Bolsheviks, and are justified by the need for spiritual "revolution". The cult of Satan would therefore be a world to "purify" itself from the false Soviet religion. In the country it is believed that 50-100 thousand people practice the Satanic cults. The Ministry of the Interior began to investigate and intervene in their activities since 2003, classifying them as "destructive sects" dedicated to esotericism and black magic. It is not uncommon for emotional teenagers to end up under their influence, such as the one that set fire to the Kondopoga church. Yet, for two years now, an officially registered Satanic Church exists in Moscow. The registration date (10 May 2017) is remembered every year as the "Day of Russian Satanism". It is singular that the Satanists have adapted to Russian legislation shortly after the approval of the "Jarovoj Law" in 2016, the provision that limits and effectively prevents the profession of faith in any public sphere without strictly adhering to the standards of law. Interviewed by the 66.ru website, the Russian satanists, by the mouth of their leader named "Oleg Sataninov", declared that they had decided to come out of the closet since 2013, and that they intended to form a strictly religious organization , following the dictates of the Russian Constitution. 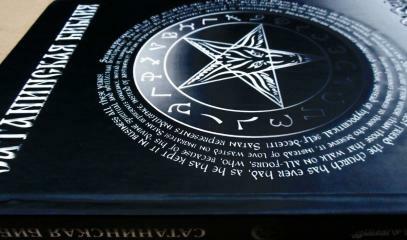 A document was presented on the "Foundations of the Satanist Doctrine", with its own commandments, the list of sins and symbols of the Satanist Church, such as the head of a goat surrounded by the magical letters of the alphabet of Enoch. The members of the organization normally maintain reserve over their membership, but it is widespread throughout Russia. The Russian Satanists guarantee they are not dependent, or even connected to the Church of Satan in the USA. 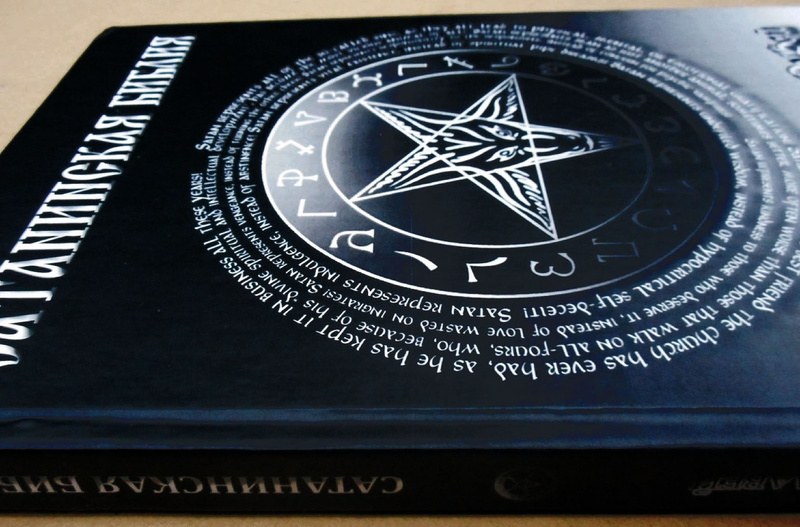 They do not translate literature from English or other languages, but they produce books in Russian, although they generally adhere to the principles of the Satanic Bible published in America by Anton LaVey in 1969. They do not have buildings of worship, but use spaces made available from time to time by members of the group, and deny the charge of making human sacrifices. In this regard, they distance themselves from "devil worshipers" who believe they are simply "opposite Christians". 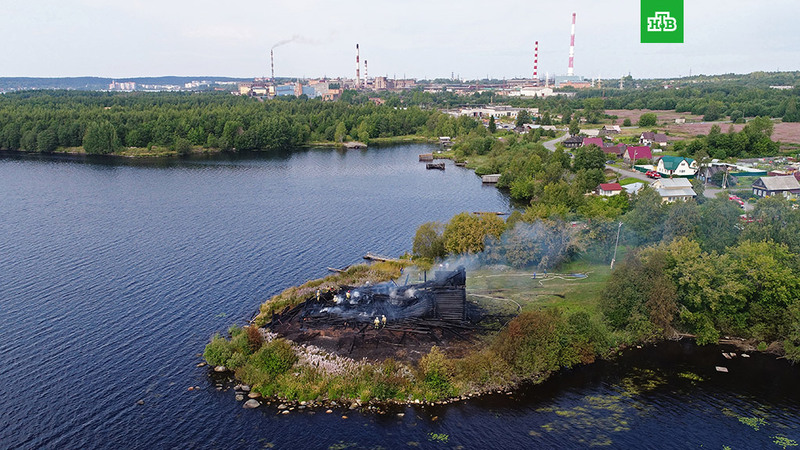 It is not known for now what sect and which ritual led to the teenagers arson attack in Karelia, and if the destruction of the churches is a practice recommended by the authorities of Russian satanism, registered or clandestine. Certainly, it was a habitual practice of the militant atheism of the Soviet communists. Aleksij II: "United against terrorism, a threat to the world"